Real-time Reviews for Employees – Utopian or Pragmatic? You are here: Yellow Spark > blog > Performance Management > Real-time Reviews for Employees – Utopian or Pragmatic? That’s how the 21st century has shaped itself to be. The ‘need for speed’ and the ‘want it right now’ has certainly reduced the patience of current-generation employees. And this need for urgency and swiftness in everything is being replicated in the corporate sector too. Shorter deadlines, faster promotions and even quicker tendency to jump jobs are a normal sight in almost every company. But it’s not limited to just these, even the concept of appreciating someone or giving feedback is affected by the ‘now’ phenomenon. Getting real-time reviews on their performance is catching pace in a lot of corporates. 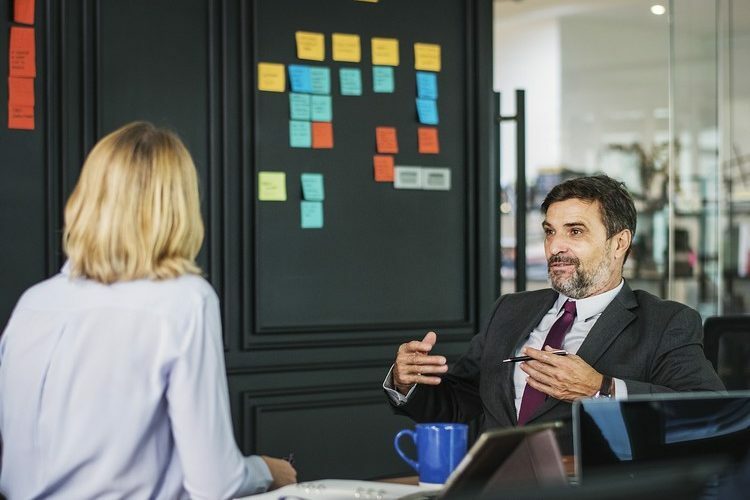 According to a study conducted by Wakefield Research titled “The Growth Divide Study”, nearly 61% of the employees feel that the traditional review process is outdated. A good 50% of the employees prefer to have reviews at least once a month. And the trend goes on. But is the real-time review really a pragmatic thing to do? Or is it just another utopian concept like the unicorn? What’s wrong with the annual review? If there’s one thing that these changing times are then it’s dynamic. And therefore, employees require constant guidance and training opportunities to better themselves. According to another management research firm CEB, there is a shocking 95% of dissatisfaction among managers as to how their companies conduct the annual reviews. There’s also solid proof of annual performance assessment causing high levels of stress in the employees. All these have been the leading contributors to a demand for real-time review. Do modern employees also have a hand in this? Companies too, have changed the way they look for employees. No more does an academic scholar get an edge in an interview. Companies are rather looking for adaptable, all-rounders, self-learners who would keep up with the new trends and provide value to the firm. But such modern and dynamic employees also come with their set of expectations. They prefer a manager who would spend more time with them, guide them, coach them and point them in the right direction. In yet another survey conducted by TriNet and Wakefield Research, 85% of millennials agreed that they would be more confident if their managers spoke to them more frequently. The social media and hunger for information have got them those advanced degrees but they desire for more training and development opportunities for themselves. They would even jump jobs just to make sure that find it in their company. But it fits the bill, doesn’t it? Well, not really. Even if a manager spends 3-4 hours behind a performance appraisal of one employee, when it comes to a large team of 50, it could be a massive task. And how often does annual review get you even 50% of what’s communicated in the evaluation? With lack of actionable points, loss of opportunities that could have been salvaged and generic feedback, it’s more of a liability than productive activity. What about the subjective bias over a period of time? Close to 68% of the executives said that they understood about their employees’ concerns while reviewing them. In most cases, the issues were subjective and didn’t really matter later. Also, the formal setup of a review becomes a turn-down for the employees. They would rather raise issues in an informal feedback discussion than in a formal review meeting. The definition of concepts like motivation, professionalism, honesty and inter-personal communications are also largely based on each individual’s understanding of it. So grading an employee once a year on these could mean they are not on the same page as their managers. This could, therefore, lead to lower ratings and performance. What’s real-time review and what are its benefits? With real-time reviews, employees are encouraged to learn and improve on a continual basis. It gives the managers a quick insight on the top performers and also on the worst ones. It allows immediate corrective measures to be taken and employees feel cared for when managers work in tandem with them. Real-time reviews help managers identify and encourage the development of soft-skills in employees. They can work on these alongside the technical and professional skill requirements and develop an effective workforce. This would not only inculcate and promote the role-based competencies but also emphasize and affirm the company values in the employees. Employees too have a certain goal when they join a company. With constant constructive feedback, they are reminded to stay on track with the goals. This could also trickle down to the goals set by the managers for them. Encouraging and healthy feedback would help them achieve their goals in an organised fashion. Nothing can be more terrible for an employee than a failed project just before the annual review. This could lead the manager to a recency bias that makes them focus on the particular project in an elaborate way. To counter this, real-time reviews celebrate and save every small win which then gets etched in the memory of both the employees as well as the managers. Regular feedbacks can bring about more change than occasional/annual reviews. It provides reliable data that’s not affected by personal or professional biases. It also helps remove the fear from employees of not being able to tell all their achievements and not being able to justify their most recent failure. Annual performance reviews are an extremely integral part of the corporate life. However, just relying on it in the fast-paced, digital times isn’t the best way forward. Having real-time reviews might not be an easy transition but it’s definitely not utopian either. Companies can start with a monthly feedback module to motivate and then gradually alter the frequency of it. With feedback data that is generated throughout the year, performance reviews would also in-turn become more relevant, practical and actionable in nature. If you are still in two minds as to how to bring about a smooth transition in your review cycle, get in touch with us – contact@yellowspark.in. We can provide a customised solution for improving your company’s people management skills and also suggest the best way to provide rewards and recognition to your employees. Why do People Mistake Power for Leadership?